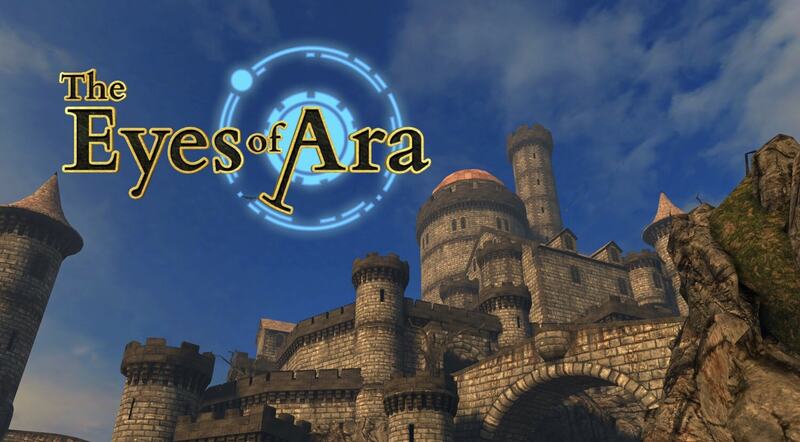 I didn’t know that much about 100 Stones Interactive’s adventure game, The Eyes of Ara, before it got ported to iOS. But it seemed like my kind of game, so I was excited to try it. At first, my experience was a little underwhelming. 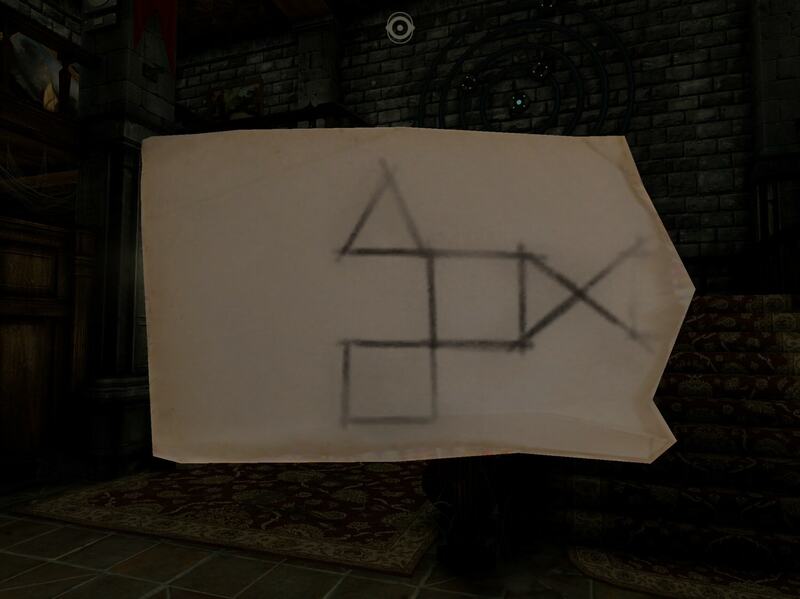 I solved a few basic puzzles and found some notes that hinted to a story. I uncovered some objects, used some of them to open doors to other rooms, and then got stuck. I was waist deep in a ton of games at the time, so I didn’t immediately go back in to figure out what to do next. But when I did, I realized I missed something so obvious because I never thought to look down at my feet. The next time I got stuck, I discovered the answer was in one of the journal entries. It was at this point that I learned how to think like the game and fell in love with it. Perhaps the game could have done a better job easing players into thinking this way, as getting stuck so early on could turn some people off. But if you’re reading this, I implore you to stick with it, as it’s one of the best adventure games I’ve played. On the surface, it might not seem all that special. 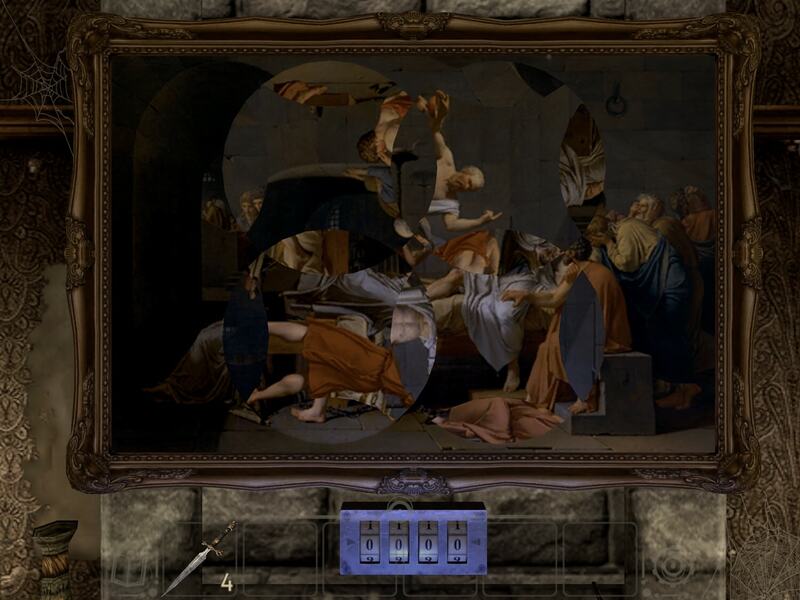 You’ve seen things like this before — an old castle or mansion filled with puzzles to solve and a story to unearth. 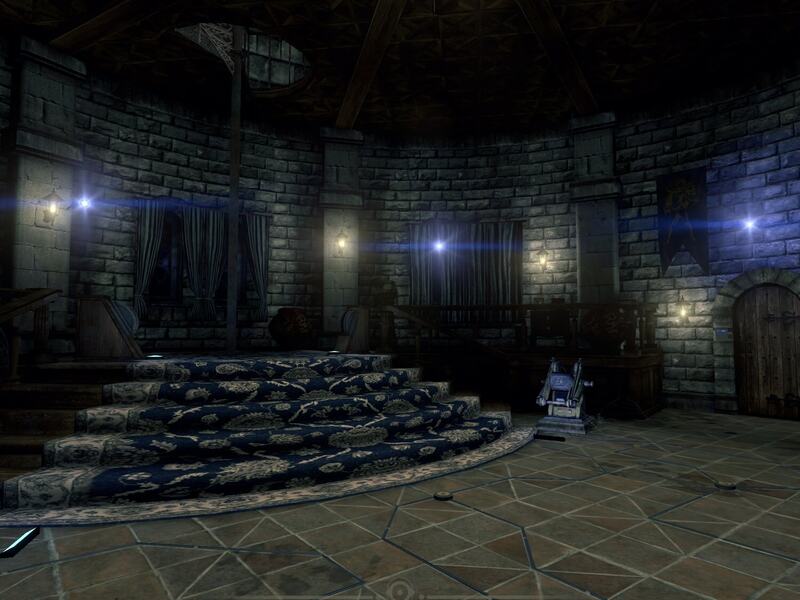 3D adventure games have existed for a long time, going back to the well-known Myst, with The Room Three being one of the more notable ones on iOS. But once you get past that initial familiar feeling and start really paying attention, you’ll see just why this game is so special. Nothing is what it seems, as there are myriad bonus collectibles, clues and secret passages hidden in plain sight. 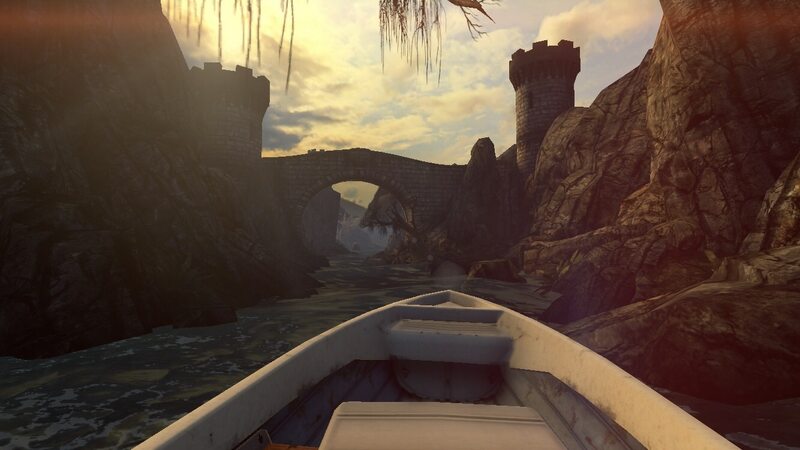 The game begins with a relaxing boat ride through some scenic mountains, stopping at the foot of a huge castle. There’s a brief tutorial with minimal words so the game can show you how the controls work. It takes you through the first few moments where you open a suitcase to grab a key and a letter explaining why you’re here. 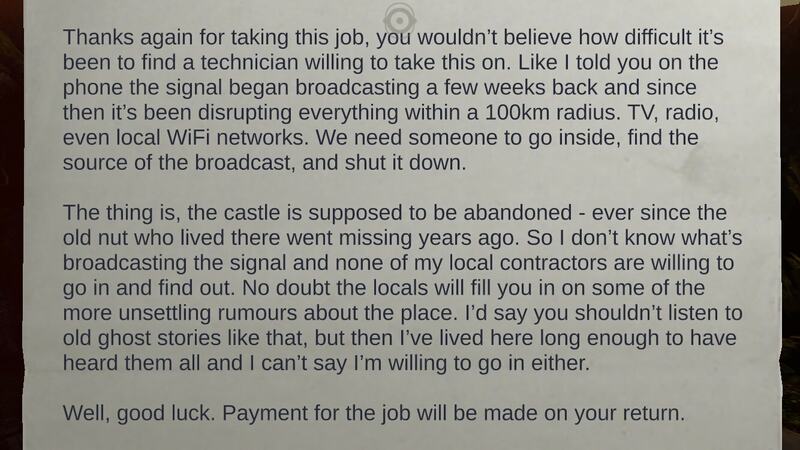 Some weird signals have been broadcasting from the castle and everyone thinks the place is haunted, so you’re the only one they’ve been able to convince to check it out. 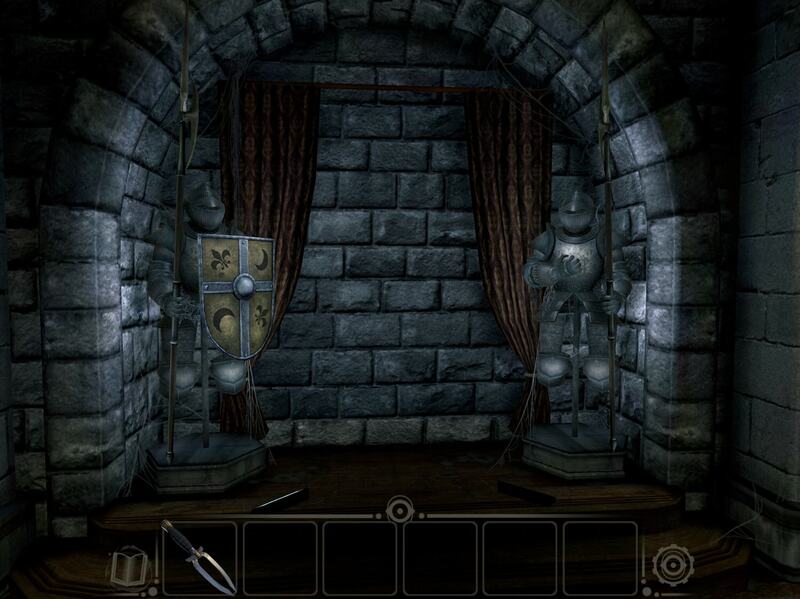 Once inside the castle, you pick up some clues and solve some basic puzzles as the game explains how the inventory works. And then you move on to Chapter 1, where you’re left to your own devices. The game was originally released on PC, but the developer has taken great pains to make it feel natural on a touchscreen, and he’s done a superb job with it. The graphics look great on my iPad, even if they’re not quite console-quality. As you might imagine, you swipe to pan the camera around the room, then tap on an object or interactive area to zoom in. Once zoomed in, you can tap and swipe to interact with the environment, including picking up objects or moving puzzle pieces around. Open doorways are highlighted when you face them so there’s no missing them. But if you want to take it a step further, you can turn on subtle hints that just make objects glimmer a bit so they’re easier to notice. One really nice feature I appreciated is that once you’ve done everything in a certain spot, you can no longer zoom in on it. You’ll never be locked out of a room for good, but if you can’t zoom in on something that you could before, that’s how you know you’re done with it. Similarly, any clues you pick up get stored in your inventory until you use them, at which point they disappear. While I played through the game on my iPad and I’m not sure how easy it would be to find all the hidden details on a small iPhone screen, both versions make it easier to see things by letting you hide the inventory when you’re not using it. The user interface is sleek and keeps the screen clutter-free. To make the game even more mobile-friendly, the developer also added a sort of notebook that stores all the journals and book excerpts you find, along with any clues. This means if you’re playing on a train or in bed, you don’t have to worry about pulling out pen and paper to jot down a clue. You don’t even have to take a screenshot and and go back and forth between your camera roll and the game. You can also zoom in all the way on the letters and clues so they’re readable even on small screens. Normally, I expect feedback from a game when I tap on a puzzle or object, like “you’re still missing something” or “the painting shows five birds.” It was a little weird for me at first that The Eyes of Ara offers no such thing. You can zoom in on things, look over clues as much as you want, explore to your heart’s content. Just don’t expect the game to explicitly describe an object or tell you when you’re missing something. While this was slightly off-putting at first, I learned to love it. 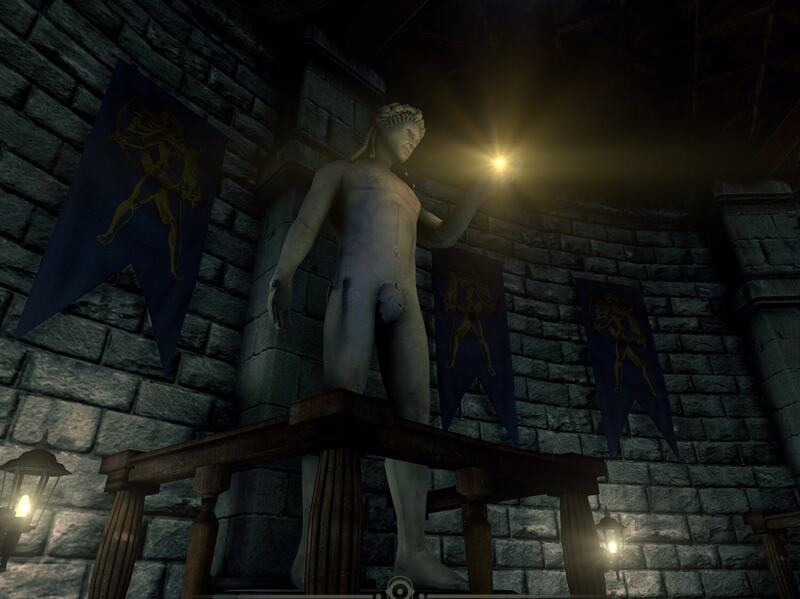 I felt more immersed in this world, like I was really exploring the castle and not just playing a game. Everything I needed was out there as long as I paid attention, and I didn’t need some on-screen words to nudge me along. There are clues everywhere if you just keep your eyes open. I loved that the game doesn’t hold your hand or hit you over the head with the answers. It made it that much more satisfying to discover some hidden secret or put several clues together to solve a puzzle. The puzzles are also all very relaxed with nothing time-sensitive or reflex-based, so if you’re averse to those in your adventure games, fret not! And I really must reiterate how much is hidden around the castle. There are coins, figurines, photos and other collectibles to find in each chapter. 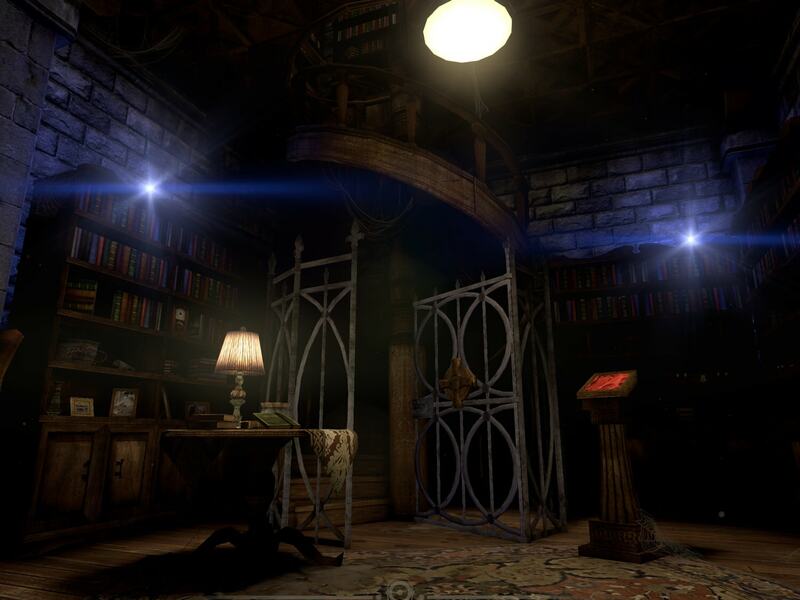 But beyond that, the game rewards the most perceptive players with secret rooms to unlock. You don’t need to find every last item to complete the game, but you’ll get some bonus content if you do. Plus, it’s just a whole lot of fun scouring the the castle for anything you may have missed, and it’s especially rewarding when you discover something based off of a seemingly meaningless passage in a journal entry. I felt more like a detective in this game than almost any other game I can think of. Once I learned to look up, down and in every crevice, the castle became more real to me than any other environment I’ve explored in a game. Basically, it’s exactly what I would hope an abandoned castle would be like in real life. The story that unfolds is an interesting one, told through both journal entries and environmental storytelling. There are book excerpts and notes left by different characters, even computer logs about experiments. I was genuinely curious to see where it was going, though I admit to only skimming things early on out of impatience to get to the puzzles. I enjoyed things far more when I relaxed and truly absorbed everything. I don’t want too say much about the story because it’s more fun to discover it yourself, including what exactly the Eyes of Ara are. I appreciated that, like the clues, you can re-read all the writing at any time to refresh your memory. They are limited by chapter, though, so I put them all together here for a tiny bit more convenience. In all, this is a game to relax and take your time with, not try and rush through. I spent a couple of weeks with it and I enjoyed every second of it. As much as I loved exploring this castle and uncovering its mysteries, there are a few less-than-ideal things I should mention. It can go a little overboard on the backtracking if you miss a small hidden detail and are trying to complete the game a hundred percent. I found most things on my own without any trouble, but did get some hints as to a few things I overlooked. I was also a little disappointed with a puzzle near the very end of the game, as it assumed a higher level of math learning, one I didn’t know. I had to have someone explain to me what it was and then study up on it so I could solve the puzzle myself. It seemed an odd choice to me after an entire game of completely logical puzzles that didn’t assume any outside knowledge on the player’s part. Until that point, I was able to figure everything out on my own, even if some puzzles were harder than others. I spent almost two days on this one puzzle before finally giving in and realizing I would never get it without a little outside help. While it didn’t ruin my whole experience, it made that home stretch at the end just a little less satisfying. Still, I’m happy I was able to still solve the puzzle myself with a little more info. And there were even more bonus puzzles after that, so I got to feel smart again when I figured those out. I really can’t say enough good things about The Eyes of Ara. Perhaps the most impressive part is that it was designed mostly by one developer using existing assets. The whole game is put together so well with such care and attention that it puts so many other adventure games to shame. The feeling of exploration and discovery is spot on, and the developer respects the player’s intelligence enough to put the information out there and trust that we’ll know how to use it. I even enjoyed reading the excerpts from some books I haven’t read before, like The Ice Dragon and Voltaire’s Micromegas. I’m not sure how this can be topped, but I hope 100 Stones Interactive is working on a sequel or follow-up of some sort, because I’m so ready to jump into another one of their creations. If you’re lucky enough to not have played the Eyes of Ara yet, I envy you because you have such a such a great experience ahead of you. So don’t hesitate and grab this masterpiece here. And if you find yourself hopelessly stuck on any of the puzzles, you can try my comprehensive walkthrough guide here.